Being in this music industry for at least…. well, a lot of years, I’ve seen many artists “wing it”. There’s nothing wrong with learning as we go, because that’s life. But I can’t tell you how many times I’ve gone to a show (sometimes a big show!) and I watch the artist backstage with their band or producer. It’s thirty minutes before the show, and what are they doing? They’re writing out a set list! And, depending on where someone has to change a guitar or whatever, they put a big “T” for talk. Someone needs to talk… right there. So we string songs together, we put in a couple of places where we’re going to “talk” to the audience, and then we go out and “wing it”. And, some nights the planets align, the spirit falls, it happens, and it’s a beautiful thing. But in most cases it’s just… OK. Some nights it’s disastrous, a few nights it’s magical – and on most nights it’s hit and miss. One song works, one doesn’t, and it might feel like you’re playing tug of war with the audience. To me, that’s “winging it”. Here’s another example of “winging it”. You’re in the middle of a song, and all of a sudden you feel like you should do something, but you have no idea what to do, so you do something physically – move somewhere or whatever – and you “wing it”. We need to have a plan. We need preparation before we walk out onstage. We need to be comfortable with movement. We need to know the fundamentals of being onstage in front of an audience. 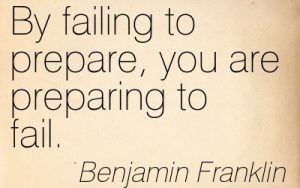 Everyone really knows this, (to some degree anyway), because we all prepare for some of what we’re doing onstage. Typically we prepare musically and vocally. We have rehearsals of varying kinds and to different degrees. In some way, we all prepare to be onstage. 2. You need to plan your show. 3. You need to rehearse properly. Notice that I skipped #1? Here it is – #1: “woodshedding” the fundamentals (or learning and practicing the basics)! How can you tell if artists have skipped the “woodshedding” process or not? It’s very simple. When you see them perform, the song is in charge and the artists are not. Ever seen anyone like that? Somehow a lot of artists have bought into the idea that spontaneity means “winging it”. But it’s not true. You need some sort of design or form for your live show in order to optimize your abilities, your gifts, and your personality, so you have a shot in this thing called music. As I mentioned, the first place to start is woodshedding the fundamentals (or learning and practicing the basics). Most of you reading this have done your woodshedding with your music – no question about it. Artist after artist can play and sing. You’ve worked on scales, tones, phrasing, melodies, your voice, your instrument. If you’re a guitar player, you know your guitar chords; if you’re a keyboard player, you’ve practiced chord changes and scales… you get the idea. Let me give you an example. There are rules for writing for radio. Some of those rules are obvious: a song can’t be shorter than 2 1/2 minutes and it can’t be longer than 4 minutes. Generally you need intro, verse, chorus, verse, chorus, bridge, chorus. There’s a plan, a form to get played on radio. We willingly follow the rules for songwriting to communicate for the format called radio because we want people to hear our music, we want to influence people, and we want to make money. Great athletes don’t “wing it” – they understand they don’t get four strikes in baseball or five downs in football. Rules bring a format and a context for the great ones to shine. Rules don’t limit! They create freedom for the professional to develop completely within the context of the rules. A guitarist, for example, is limited within the context of his guitar, his amp, and so on. But the great ones with talent, imagination, a willingness to experiment, and a dedication to the process of growth, master the instrument and its limitations. It’s not a lack of rules that makes you an artist. And the sign of a great artist isn’t someone who simply follows the rules. The great artist is the one that understands the rules and passionately and professionally applies him or herself to complete expression within the rules! It’s working within the limits that mastery truly reveals itself. Do you know the rules for how to use a mic stand, for how to accept applause the right way, or for how and when and why to move onstage? How about working an area, bailing, or “first word/first step”? The best place to learn these rules of being onstage is from my Live Music Method Book (There, I said it!) I don’t want to sound like a commercial, but so many times I go in to work with an artist, and a lot of time is wasted as I have to teach them how to walk from one place onstage to another without looking goofy. In those situations, I have to decide, with the time and energy and money they’re giving me, do I teach them how to walk or do I punt? I’m limited with what I can do because they haven’t done the preparation they should have done. The kind of preparation that people can actually do at their own house on their own time! Just like learning to play a scale, they can learn these basics at home. And, that’s the first step in not “winging it”. This post is long on stuff I already understand, and short on the substance in terms of what I’d really like to hear about. Maybe some of your readers need to be talked to about playing the guitar in the parameters of the instrument and the amp you’re using, or any of the other examples you give. I already get that stuff. I skimmed all the way through all that only to have you say there are rules about stage presentation buy my book. What I would like to see is a blog where you take some aspect of what it is you teach and get a little into the weeds with it. Talk about those rules, instead of just telling me stuff I already know. Thank you for your comment! I totally get it. You might be new to our website and blogs, but here’s what’s up. Some blogs are meant to inspire artists to really work at their performance stage craft. Tom has hundreds of hours of material and has spent decades developing his method for performance….and he’s still constantly learning! And yes, he does sell product. That’s how he makes a living, much like an artist makes a living off their shows and music….(hopefully..) And, that’s what Tom is trying to help you do…make more money by having a great live show! Some blogs are on specific skills (Watch for next week’s blog on accepting applause..), but here the danger is that an artist will take one small aspect/skill of a live show and incorporate only that one skill and when they don’t get the response they want, they nix the concept and go back to their previous habits.